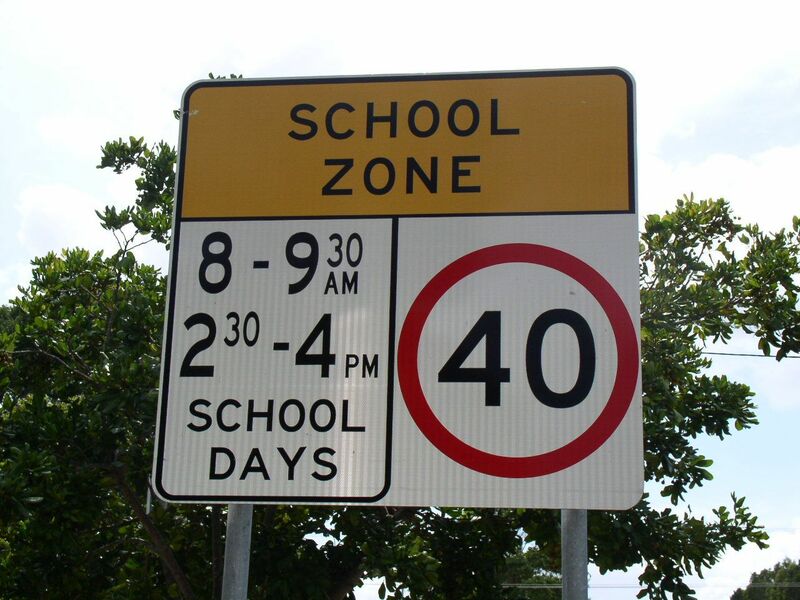 Great Lakes Council reports that NSW Police were busy issuing infringement notices to speeding motorists in the Booral Public School zone prior to the school holidays, with locals becoming complacent in school zones hours. “School Zone hours are in effect between 8am – 9.30am and between 2.30pm – 4pm every gazetted school day at all schools in the Stroud area. With the Booral Public School yet to receive its school zone flashing lights it is important that motorists are aware of school zone times to avoid receiving an infringement” said Becky Hunter, Great Lakes Council’s Road Safety Officer. Penalties for speeding in a school zone are severe and reflect the danger to children. With the school holidays now over Great Lakes council will be providing courtesy speed checks outside Booral School, while the NSW Police will continue to issue infringements to motorists who speed through this area. I totally support action. I live in Stroud and travel the Bucketts Way frequently and feel that Stroud also needs similar action. I’m not elderly and I find the main street can be difficult to cross as trucks and cars often travel faster than the 50km speed limit. One day someone will get killed, especially crossing the road near Stroud Lodge. Another area that needs attention is the drivers that don’t (excluding tractors etc) maintain a speed limit that is not overtly variable and/or way below speed limit. I have witnessed many near misses on the Bucketts Way from people overtaking out of sheer frustration, including many who use mobile phones whilst driving, both young and old. Thank you, Brenda Crawford Evans, Stroud.